Track is marked, bunting is out and the start/finish line banner hoisted, signalling that Stackpoole is ready for this weekend’s ARB Town and Country Tyres Stackpoole 400 – Round 1 of the highly anticipated 2018 ARB Australian Off Road Racing Championship. A quality and diverse 66 car field will converge on Stackpoole over the coming days for the popular event that is shaping up to be for the ages. With hot weather forecasted and dusty conditions expected to play a factor, all drivers will be eager to clock in a competitive prologue time Saturday morning. Like last year, the event will be divided into two separate individual races - classes 2, 3, 5, 6, 66, 7, 8 and 10 will do their seven laps of the 60km track on Saturday after the prologue whilst the rest of the field - Unlimited, 1 and 4 classes will get down to business on Sunday. The two race results will be combined to allocate outright positions for the weekend. Defending champion and property owner Andy Ryan #50 will spearhead the 2018 field in his Alumni Craft in search of back to back titles; the 2017 victory was well deserved for Ryan after two second place finishes in 2013 and 2014. Andy’s brother Matt will too be gunning for victory on Sunday as he lines up in the navigators seat of six time Griffith Champion Glenn Owen #30. Owen will be hoping for a clean run to open up his 2018 campaign at a track he tasted success at in 2013. Five times Finke champions Shannon and Ian Rentsch #33 will make their Stackpoole debut on Saturday; the popular Victorians will be looking to begin 2018 with a victory, a tough task against brother-in-law Andy Ryan on his home soil. South Australian’s Jack Rhodes and David Pulino #91, the 2014 and 2015 victors will return to a favourite hunting ground, seeking a third Stackpoole title. 2017 Pines Enduro champion Tyler Owen, Goondiwindi 400 winner Aaron James #93, last year’s Stackpoole runner-up Talbot Cox #16 and the ever impressive New Zealander Raana Horan #89 are amongst those that will be in the mix Sunday afternoon. The ever consistent Class 1 competitor Dale Martin #101 is a definite threat for outright glory, a runner up finish in 2016 was backed up by a third place run last year. 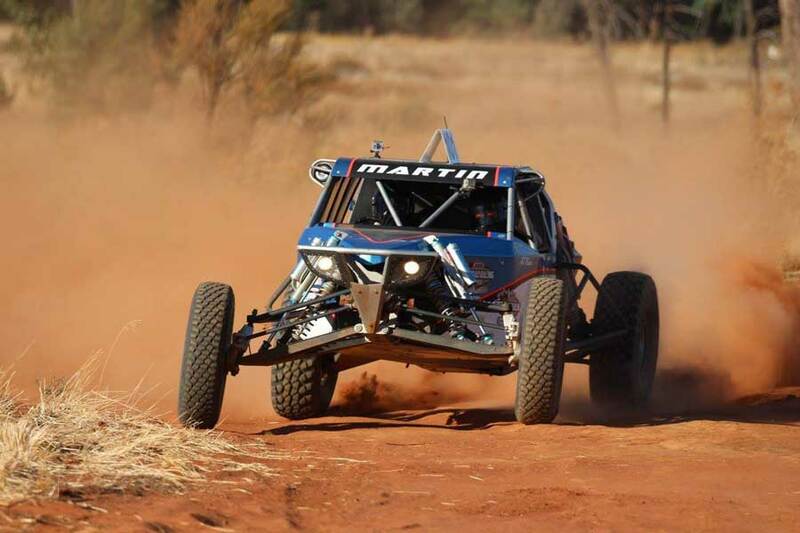 Martin, who is a part of a three car family team at Stackpoole, alongside father Craig #25 and brother Brent #120 finished the 2017 ARB Australian Off Road Racing Series third outright and top honours in class 1. Local Jason Richards #119 who finished a terrific fourth outright in 2017, Queenslander Tony Fehlaber #138 and Wes Cowie #191 of South Australia will set out to cause a stir at the top. Last year’s Saturday race and Class 10 series winner Steven Graham #1001 will fire up his Tatum alongside fellow Griffith Club member Dean Meginley #1087, who also campaigns a Tatum buggy. 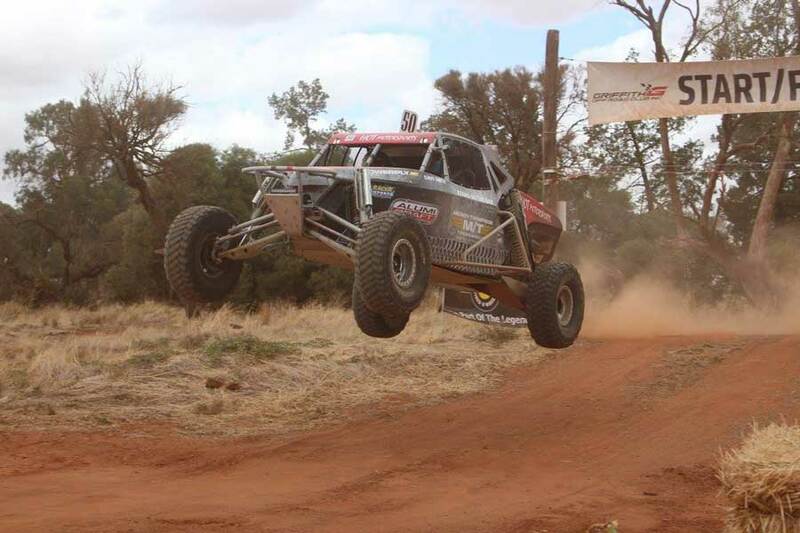 Victorian Daniel Wells #201, who claimed the class 2 ARB Australian Off Road Racing Series in 2017 is returning to Stackpoole where the team has had great success. In his class 2 Bunderson buggy, Wells in previous years has won his class four years in a row, an extraordinary record, one he will be looking to extend by weekend’s end. Local Peter Hunt #253 is another to watch after his class victory in 2017. Amongst the other classes, last year’s class 4 ARB champion Peter Sibson #401 has returned to kick start his title defence. Sibson is joined by runner up John Smith #445 and the hard charging Michael Denham #433 in the Micklefab Raptor TT. 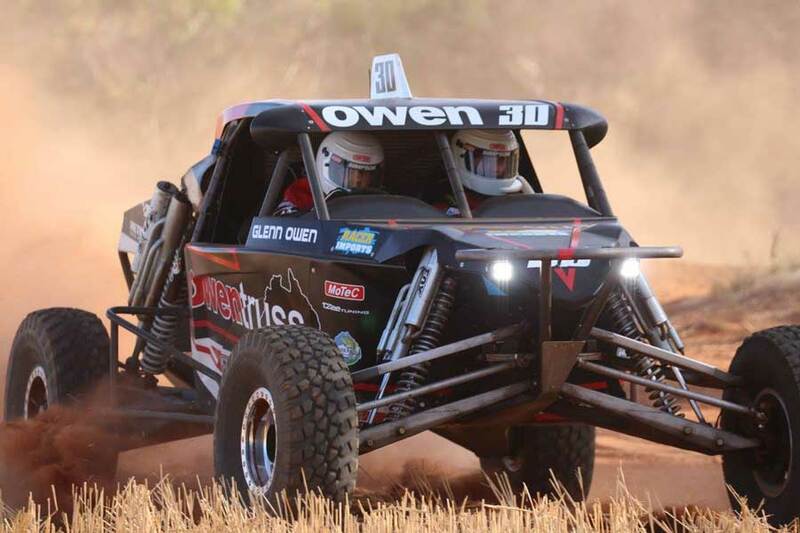 Class 5 is set to be closely contested with 2017 ARB Australian Off Road Racing Series victor from Tasmania Stephen Watkins #501 leading the pack, with Darren van der Woude #554, Bernie Clohesy #570 and Stuart Chapman #520 set to challenge for class honours. 2017 Class 6 title holder Scott Tymkin #647 highlights the turbo charged PRV division; others to watch out for include Phil Lovett #666, Peter Carr #698 and Michael Schneider #602. Jason Forssman #774 is the lone class 7 competitor, likewise Jamie Muirhead #381 in class 3 and Tom Kennedy #6607 in class 66. 2014 ARB Class 8 champion Kerry Turley #858 makes his return to off road at Stackpoole this weekend alongside Queensland’s Clayton Chapman #815 and Stuart Zlotkowski #811. Noticeable competitors to miss the event include Andy Brown #45 who will on the sidelines until Sea Lake in June due to the off season upgrades taking longer than expected, whilst previous race winner Danny Brown #42 has sold his Jimco and is having some family time before the new weapon is unleashed later in the year. Full catering, bar, shower and toilet amenities will be available across the weekend at Stackpoole with camping available for Friday, Saturday and Sunday nights. Saturday nights roast dinner in the Stackpoole Starlight Dining Room is not to be missed. Jump on line and order your dinner tickets so you don’t miss out. 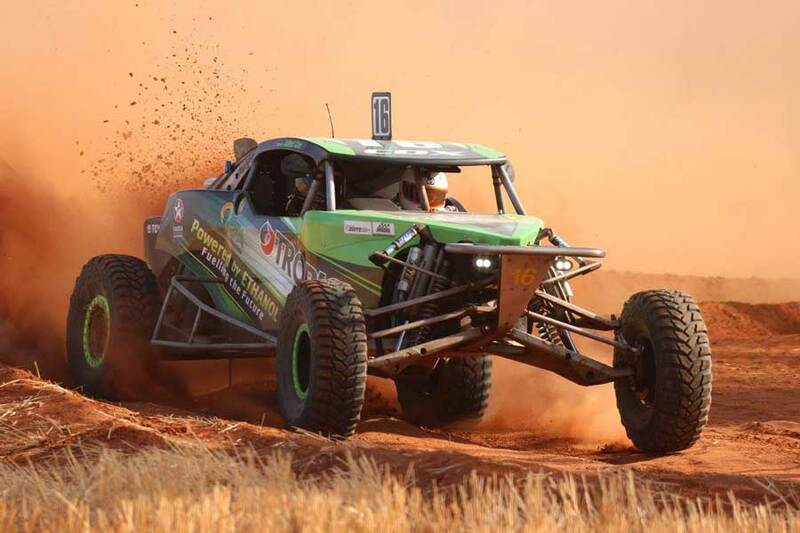 Bragging rights galore are up for grabs this weekend across the 420kms of racing as all crews look to stamp their authority on the event which will set them up nicely for a championship assault. So much to look forward to as the first chapter of 2018 unfolds! Stay up to date with the live results across the weekend on offroadracing.com.au.